Over the past 25 years, Rebecca Martin has become a nationally known, critically acclaimed singer and songwriter, educator and community organizer. A native of Maine, Martin moved to New York City and lived there for a decade before she and her husband, jazz bassist Larry Grenadier, migrated north to establish a home in Kingston, NY. She began her career in the early 90’s as part of the groundbreaking duo “Once Blue” with Grammy winning songwriter Jesse Harris (Norah Jones). The two made several albums on EMI Records and toured throughout the United States and Canada with Lisa Loeb, Emmy Lou Harris, Squeeze, Shawn Colvin and many others. “…a generation of jazz singers, some of whom see Ms. Martin as a touchstone. Among them are Gretchen Parlato….’She’s been a great guide and mentor and sister in my songwriting,’ says Ms. Parlato. “A Voice That Leaps Among Genres” in The New York Times. In 1998, Martin started her solo career, producing six critically acclaimed solo recordings since then: all appearing as critic picks or landed in the ‘top 10 recordings’ of the year lists by publications such as the New York Times, Wall Street Journal, Telerama, and many others. Her collaborative projects include “On Broadway Volume 4 or the Paradox of Continuity” with the legendary Paul Motian (Bill Evans), where she was the first singer in history to make a recording with the drummer; the singers and songwriters Gretchen Parlato and Becca Stevens with their trio project “Tillery”; as well as a 2017 release with the Argentinian composer Guillermo Klein called “The Upstate Project”. Martin continues to write, record, teach and perform all over the world. “A Jazz Singer Fights Niagara Bottling” in New Yorker Magazine. As a community organizer, Martin is the founder of KingstonCitizens.org, a non-partisan, citizen run organization that has been focused since 2006 on increasing citizen engagement in city government. 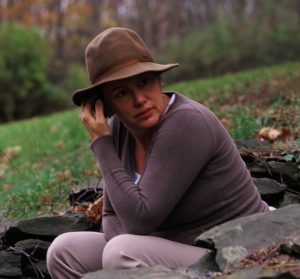 She is the former Executive Director of the Kingston Land Trust where under her leadership, the trust was touted as a ‘national model’ by the Land Trust Alliance and she currently serves as the the special project coordinator in the Water Quality Program at Riverkeeper, New York State’s Clean Water Advocate. Welcome to Larrecca Music Management.